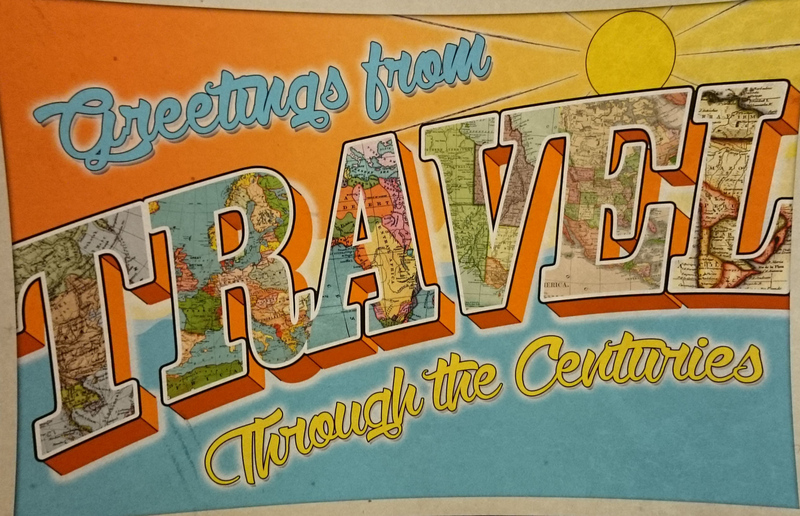 The summer exhibit "Greetings From ... Travel Through the Centuries is open through Aug. 8 at Indiana State University's Cunningham Memorial Library. The exhibit explores how motivations for and experiences of travel have changed over time through personal accounts, photographs, art and artifacts. As an interactive component, share your own personal explorations on a postcard and "mail it" to Special Collections by putting it in the mailbox located next to the bust of Eugene V. Debs. An online version of the exhibit is available at http://omeka.indstate.edu/exhibits/show/greetings. The summer exhibit "Greetings From ... Travel Through the Centuries is open through Aug. 8 at Indiana State's Cunningham Memorial Library.